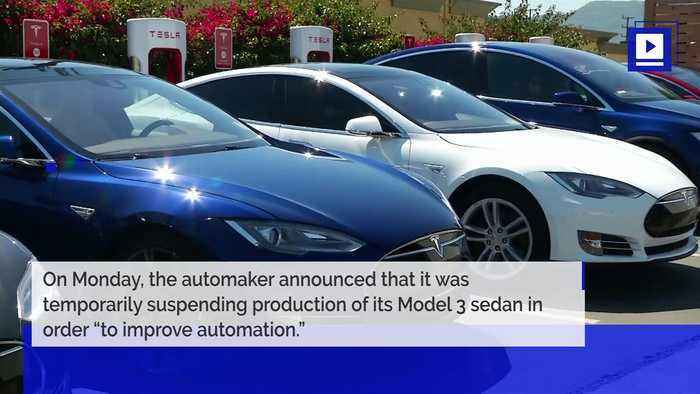 Tesla Temporarily Halts Production of Model 3 On Monday, the automaker announced that it was temporarily suspending production of its Model 3 sedan in order “to improve automation.” The Model 3 is Tesla’s latest effort to release its first mass market car, after primarily focusing on rolling out small numbers of luxury vehicles. “"These periods are used to improve automation and systematically address bottlenecks in order to increase production rates.” “This is not unusual and is in fact common in production ramps like this." 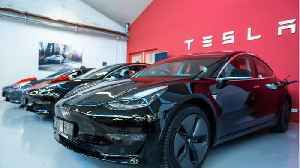 Tesla originally aimed at producing 2,000 models a week, short of its 2,500 weekly goal, but it reportedly wants to increase production to 5,000 a week in the next three months. 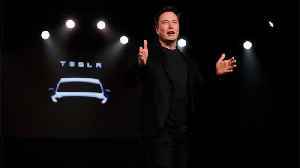 In his unveiling of Tesla&apos;s newest car, the Model Y, on Thursday, CEO Elon Musk opened up about Tesla&apos;s struggle to mass-produce cars and become profitable in 2018. 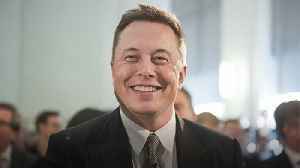 In his unveiling of Tesla's newest car, the Model Y, on Thursday, CEO Elon Musk opened up about Tesla's struggle to mass-produce cars and become profitable in 2018. 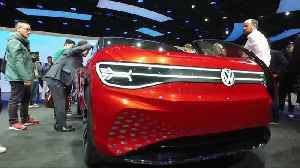 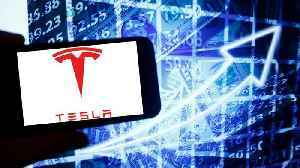 "2018 felt like aging five years..
Telsa shares climbed more than 2% on Wednesday and Thursday as the electric-car maker prepares to unveil the Model Y on Thursday evening. 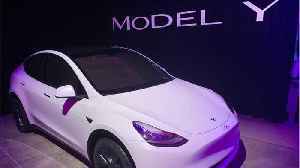 Investors are hopeful that the Model Y could be the jolt Tesla..